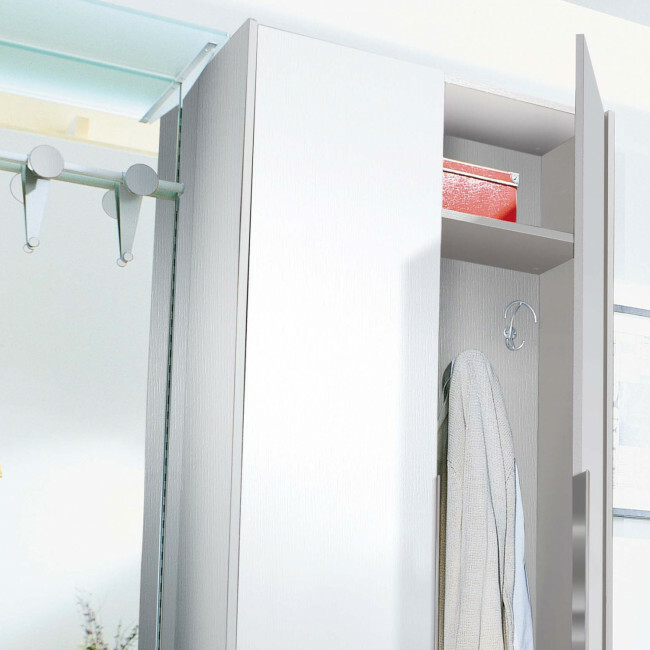 Astor A21 is a contemporary hallway storage system with lateral mirror. 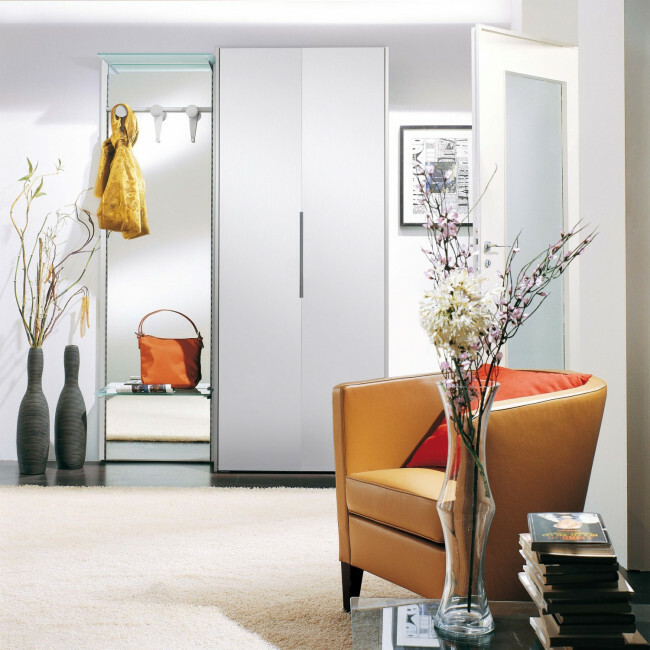 This white furniture set includes a two-door wardrobe matched with a full height mirror equipped with two frosted glass shelves and a white coat hanger with 3 hooks. Thanks to this bright neutral colour this storage unit with mirror can be placed in the house hallway, also close to the living room. 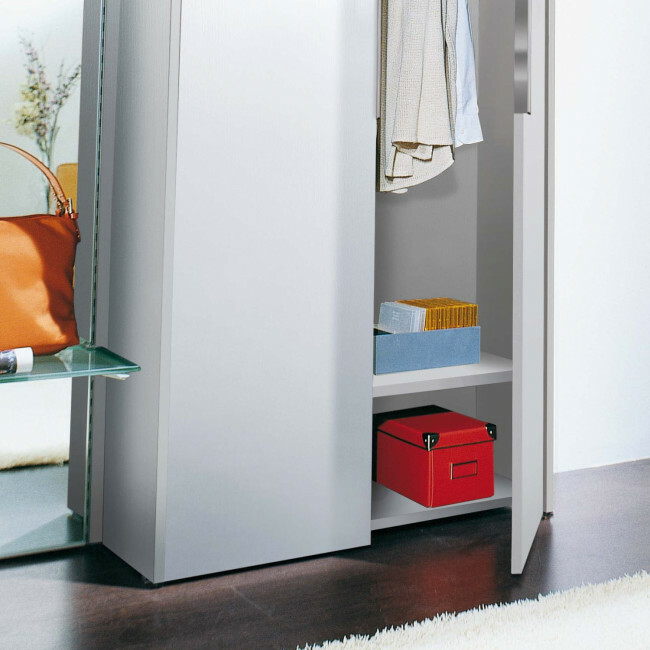 Astor A21 is a perfect furniture solution both for halls and passageways connecting the living and night area. 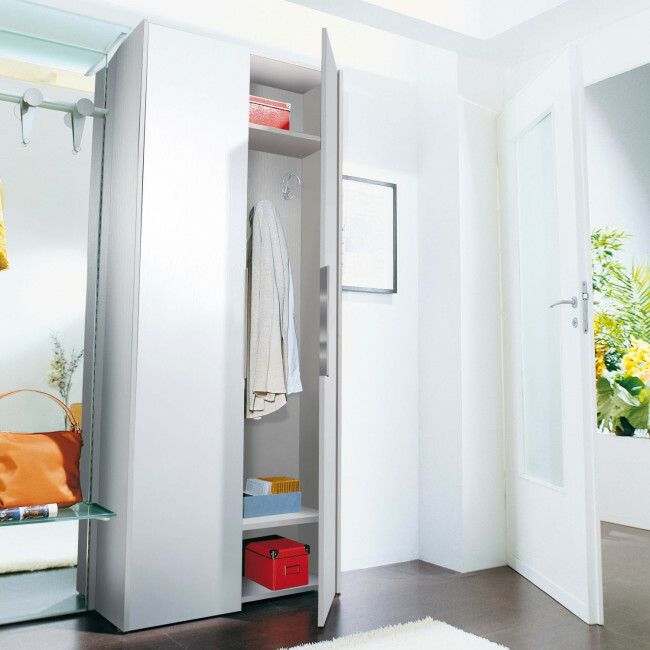 According to the space at disposal this big storage cabinet can be also used to store bath towels, hang bathrobes or keep several everyday house products well organised. - 1 two-door wardrobe equipped with 2 shelves and 6 hooks. 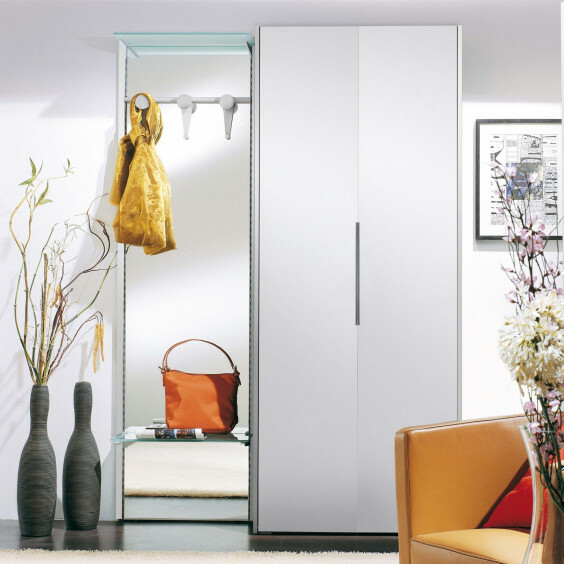 Two-door Wardrobe: cm 87 d.32 h.211 in melamine coated wood. Hallway storage system Astor A21 belongs to Astor collection, which gathers modern hallway furniture with a high degree of customization. Astor products are characterized by invisible racks which allow to place and move the different storage elements according to your own needs. y visiting our shops and Partner Retailers you will receive professional assistance in creating the perfect furniture solutions for your own space.Panels, cabinets, hooks, shelves and drawers allow a great deal of customization in terms of sizes and finishes. Compositions can be equipped with additional mirrors, coat hooks and drawers, shelves, shoe-racks, storage units and ironing kits. Astor is a collection of hallway furniture specifically designed for a wall fastening position wall but at the same time standing on the floor.